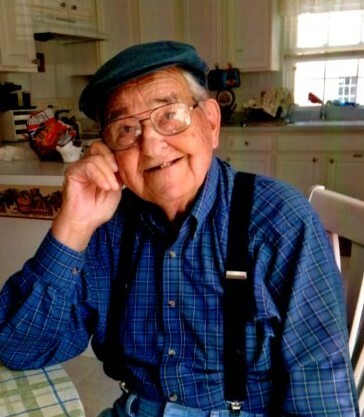 Charles Curtis Flood, 91, of Millsboro, Delaware passed away on Saturday, January 19, 2019 at home with his family by his side. Mr. Flood was born on January 14, 1928 in Selbyville, Delaware to the late Wilmer and Mildred Davis Flood. Mr. Flood and his wife were entrepreneurs owning and operating C. Curtis Flood Building, Deb-Flo Laundromats and several other businesses before going to work for the State of Delaware as a Construction Manager for the Parks and Recreation Division prior to retiring. He loved woodworking and tinkering on things to the delight of his family and friends. A “tall pie”, lemon meringue was his favorite dessert, but he never turned down a sweet including cordial cherries and soft peppermints could always be found in the candy dish. He served as an active member of his local community. Providing a site for numerous float buildings and was always there supporting school projects over the years while his children attended John M. Clayton High School/Indian River High School. Mr. Flood was preceded in death by his wife of 62 years, Helen F. Flood (Davidson) in 2009, a daughter Debbie Flood in 1962, a daughter-in-law Debbie Brice Flood in 2014, and a sister Edith F. Hudson in 2016. He is survived by two sons, Richard Flood(Sherril) of Muskogee, Oklahoma and Lloyd Flood of Snow Hill, Maryland, two daughters Terry F. Kopple(Chuck) of Harbeson and Virginia Cordrey(Mark) of Millsboro; sister Helen Hudson(Paul) of Frankford, brother Ed Flood(Emma) of Dagsboro, brother-in-law Hershel Hudson of South Bethany, and sisters-in-law Kathryn Webb of Milford, Delaware and Nancy Joseph of Rehoboth Beach, Delaware; seven grandchildren Shannon Flood(Mike Nott) of Delmar, Maryland, Tim Flood(Sunnie) of Colleyville, Texas, Matt Flood(Kristin) of Erie, Colorado, Jennifer Flood(Ric Crockett) of Ocean Pines, Maryland, Brad Cordrey(Tangy) of Millsboro, DE, Brett Cordrey (Kristin) of Lewes, Delaware, and Eric Flood of Santa Clara, California; twelve great grandchildren Rebecca Witzke, Abigail Robertson and Zachary Robertson of Salisbury, Maryland, Aaron Dale, Jr. and Ryan Crockett of Ocean Pines, Maryland, Ethan Flood and Jacob Flood of Erie, Colorado, Vivian Flood, Daniel Flood and Katie Flood of Colleyville, Texas, and Kaylyn Cordrey and Kaydyn Cordrey of Millsboro, Delaware; as well as cousins, numerous nieces and nephews and extended family. A celebration of C. Curtis Flood’s life will be held on Sunday, January 27th at the Watson Funeral Home, 211 S Washington Street, Millsboro, Delaware where friends are invited to visit with his family at noon, followed by the service at 1 pm with Mr. Daryl Hudson officiating. Interment will be at Carey’s Cemetery, Frankford, Delaware. The Flood family would like to extend our gratitude to the staffs of The DE Hospice Center and the Peninsula Regional Medical Center for their attentiveness, professionalism, support and care of our father. To Visiting Angels of Harbeson, office staff and home care providers we thank you for allowing him to have independence and keeping him safe in his home. A special thank you to caregivers Delphine and Linda and all the other care givers who filled in as needed over the years. The Meals on Wheels Program was important to giving him his independence for several years. We thank all of you for your assistance with this journey in our lives. In lieu of flowers the family asks for donations to Meals on Wheels Program, C/O Long Neck Center CHEER, 26089 Long Neck Road, Millsboro, Delaware, 19966 or The Delaware Hospice Center, 100 Patriots Way, Milford, Delaware, 19963.